My wife and I are world travelers—safari in Africa, wine tasting in Tuscany, temple exploration in Thailand—but then, our duo became a trio. The thought of trading our adventures gallivanting around the globe for a stateside coastal vacation sounded unnaturally tame. We weren’t “beach people.” But a few years ago, we learned about Wilmington, North Carolina and the three nearby beaches. You know what? We didn’t just like it; we loved it so much we became repeat offenders—er, beachgoers. Alongside the miles and miles of beaches on which to play, we discovered plenty of culture, adventure and educational activities to invigorate our wandering souls. We’ve been back half a dozen times, and not just by ourselves, but with the extended family too—grandparents, siblings, nieces, nephews, aunts, uncles, cousins and whoever else wanted to join. With an abundance of rental houses, there’s definitely room for everyone. And, with such a wide range of activities, nobody is ever bored. There are plenty of ways for our whole crew to play and learn together. We typically start our days with a family breakfast planning out various tracks of adventure. Then, each family member gets to choose his or her preference. Or, if they prefer (like my mother), they can spend a day relaxing by the lap of the waves. 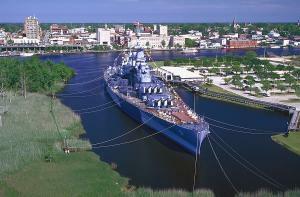 Itineraries for the history buffs in our group often include a tour of the Battleship NORTH CAROLINA, where they can experience life as a WWII sailor; a trip to Fort Fisher State Historic Site, where they can hike around the Civil War territory; or a Loop Through History Walking Tour, where they can learn about the history of Wrightsville Beach through visual storytelling. Some opt for more adventurous outdoor activities like kayak excursions to Zeke’s Island Reserve with Kayak Carolina or renting bikes and seeing where the road may lead (if my dad is on the trip, there’s guaranteed to be an ice cream stop). The kids enjoy letting their imaginations run wild with the science options. Space Place at Cape Fear Museum of History & Science offers an interactive space exhibit modeled after the International Space Station (I was a big fan of this one too). 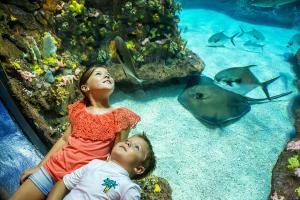 And the North Carolina Aquarium at Fort Fisher hosts plenty of unique experiences that will live in their memories forever like crabbing in the salt marshes. The naturalists in our family (or those looking for more leisurely activities) enjoy Airlie Gardens’ 67 acres of gardens and walking trails. The new Educator in the Garden program, hosted the third Thursday of the month, provides a rotation of interactive seasonal exhibits. 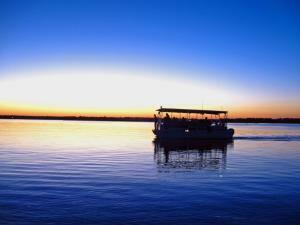 The Beach Eco Tour with Wrightsville Beach Scenic Tours is another mainstay on their itinerary. My grandmother in particular enjoys the catamaran ride, shell hunt on the beach, and eco-education talk on Masonboro Island. My father-in-law always sets at least one morning aside for fishing. Sometimes, he even convinces a few of us to join him. Last year he tried something new in booking an inshore bottom fishing tour with Wrightsville Beach Scenic Tours. He liked it so much, he went back later in the week, enlisting my wife and me in on the action too. We find mid-afternoon to be a good time to meet back at the beach for splash time. I’ve even come to appreciate the bliss of lying back in the sand, doing nothing at all. One of my favorite things about family vacations is the free babysitting. While grandparents treasure time with our kids, my wife and I get a night out by ourselves. 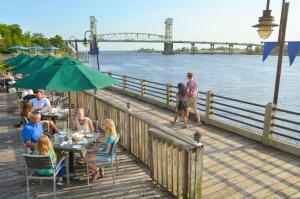 We typically start our date nights along Wilmington’s Riverwalk. We relax into easy conversation or comfortable silence while taking in the atmosphere until hunger or a reservation prompts action. We might end up at Beer Barrio, where local craft beer finds its way into many of the modern Mexican dishes (oh, those beer-braised beef tacos topped with a chipotle sour cream!). For a posh treat, there’s the AAA Four Diamond winner manna ave. 123, where the cocktails rival the cuisine in creativity (in particular, the seared yellowfin tuna with mojo verde). If we can’t decide on a restaurant, we’ll hop on a Taste Carolina food tour and allow our guide to choose for us. Sometimes, we trade traditional for casual, like the time we explored Wilmington’s budding beer scene. While the Wilmington Ale Trail is a great resource for pointing out the Port City’s best beer bars and breweries, Port City Brew Bus actually took us to the breweries. We still laugh about the time we joined the Haunted Pub Crawl, toasting our way through Wilmington’s spookiest drinking joints. Sometimes our kids need a break from us, too. They enjoy a bit of independence and making new friends. 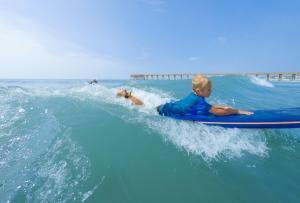 Wilmington’s advantageous location on the coast opens up a variety of day camps that bring water into play. The last time we visited Wilmington, the teenagers in our group enrolled in the five-day WB Surf Camp. I’ll admit to being a tad jealous as I watched them shred waves after graduating from the camp. Some of the younger kids opted for a day camp at the North Carolina Aquarium at Fort Fisher. It’s a great way to get up close and personal with marine life in a safe environment. I love that they come back telling us about the importance of preserving our marshlands. Programs are available for ages 5–16. My son still talks about the sea turtles years after his day camp experience. All this reminiscing got me thinking. I haven’t booked a rental house for this year’s coastal vacation. What am I waiting for? 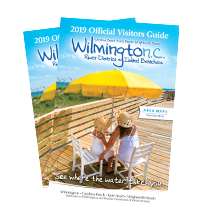 Discover more things to do in Wilmington and Beaches.